The new season of Peaky Blinders is almost here! I recently discovered this show and I have been eagerly waiting for the new episodes. I can only offer my sympathies to the fans who have been waiting since 2014! And to get ready, I have some scoop… well sort of. In a Bafta Guru event last Sunday, Grant Montgomery (production designer), Jamie Glazebrook (executive producer) and Otto Bathurst (director) discussed the making-of one of the most badass shows on TV right now. The mandate behind Peaky Blinders was not to make yet another period drama [there are SO many on UK TV!]. It was to mythologize the working class gangster in a similar way to the Americans. To create this “mythology”, the people behind the show made the conscious decision to take some artistic liberties. This is not a 100% historically accurate representation of post WWI Birmingham. It is a heightened reality: “Magical, not gritty”. The creator and writer – Stephen Knight – based the Peaky Blinders on real life stories he heard from his family when he was a kid. He wanted to infuse that sense of childhood wonder into the show. Present the world as it would look through the lens of a 10-year old kid. Director Otto Bathurst connected with this vision, since he never had much love for “traditional historical dramas”. Otto explained his issues with filmmakers adjusting their style based on the type of story they are telling. 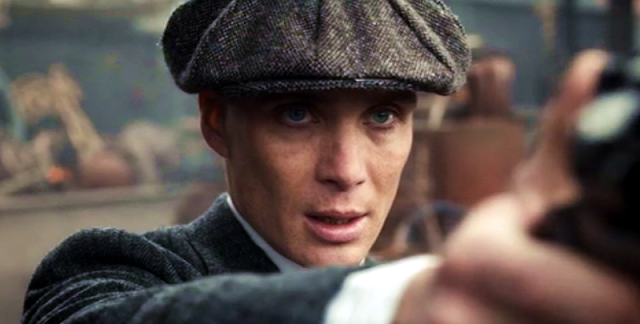 He wanted to shoot Peaky Blinders with a modern sensibility. He wanted to “make it Rock n’ Roll” and convey the feeling of what it would mean to be a gangster today. The wonderful soundtrack was an important part of this vision, and so were all the references and nods to popular film genres. While Season 1 was structured to feel like a Western, season 2 had many elements of classic “gangster” films. What will be in store on season 3? With all the talk of them going “international”, dare I say they can add some “spy” tropes to the mix? OK, not quite. But Otto talked about at least two things that could have radically changed the show. One was the casting of Grace. Turns out, Annabelle almost didn’t get the part because she completely bombed the audition. However, the producers were so enchanted by her in person that they decided to give her a shot. Turns out it was just a matter of nerves and, as soon as shooting started, she proved to be perfect for the role. [I personally loved her on The Musketeers and The Tudors too]. The other shocking fact: That amazing sequence at the beginning of the episode with Tommy riding the horse in one single shot was almost cut! I remember quite clearly watching this scene – with ‘The Red Right Hand’ playing in the background - and thinking that I was going to love this show. The sequence was extremely difficult to shot and cost a lot of money. However, it was left out of the first cut. It wasn’t until they realised that they didn’t have a title sequence that they decided to bring it back. Ironically, it is one of the most talked about scenes of the pilot and has become a staple of the show. Something you hear a lot in screenwriting classes is that you don’t need tons of money to write a compelling scene and sometimes not having enough budget can boost creativity. It sounds like something independent filmmakers tell each other for comfort, but is actually true. This is not HBO, so Peaky Blinders doesn’t have unlimited funding. This situation has forced them to improvise and recycle locations. For instance, the ‘races’ on Season 2 were all shot inside one single tent that they kept redecorating to look like a canteen, stable, etc. However, there was one budget decision that led to absolute brilliance.